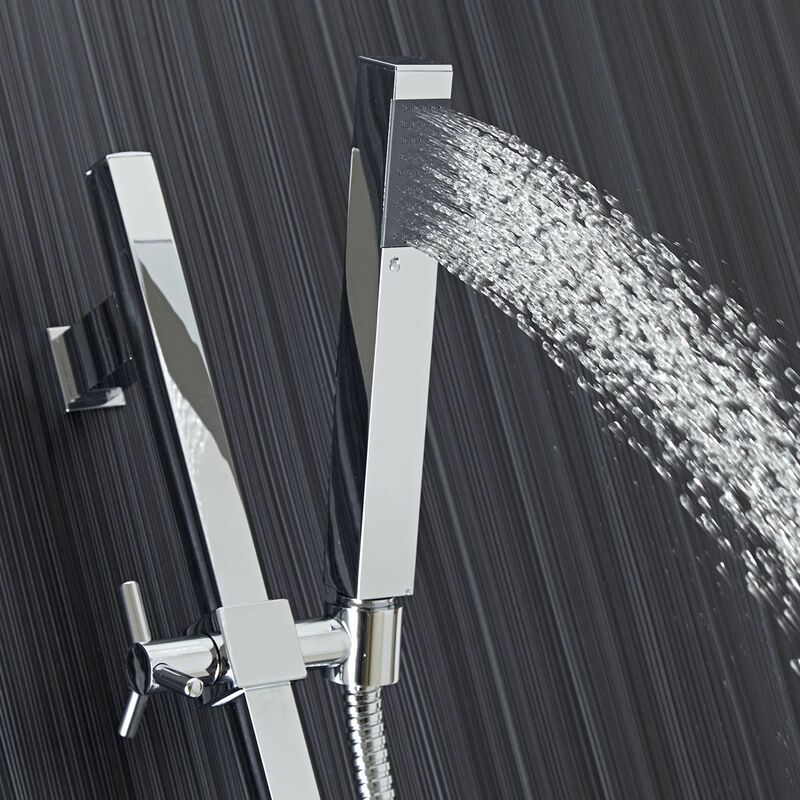 An attractive square chrome face plate and minimalist controls ensure that the Astbury Twin Concealed Thermostatic Shower Valve, with Built-In Diverter, complements any modern bathroom or shower room. 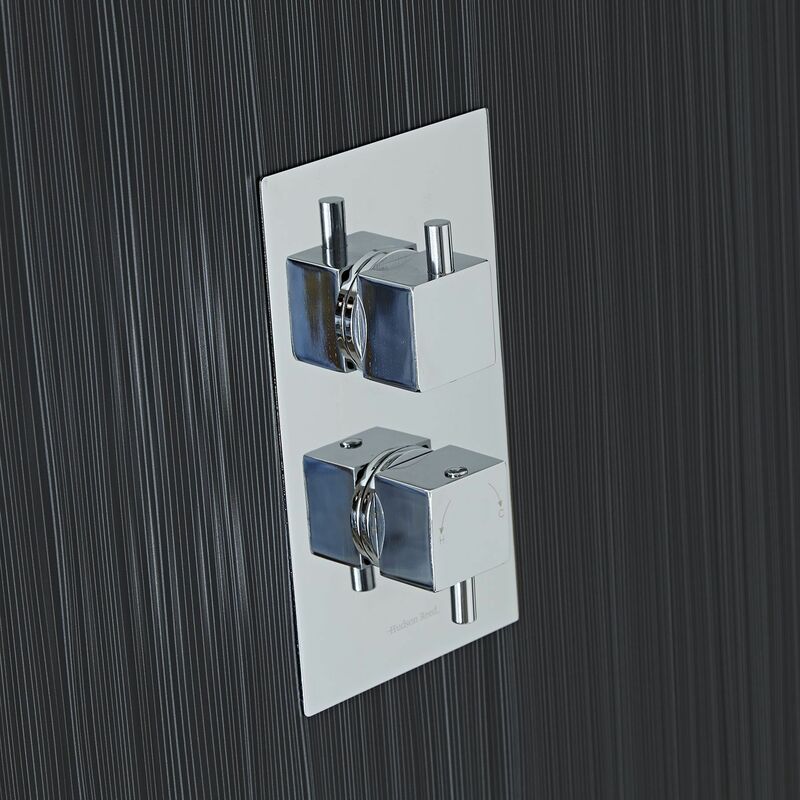 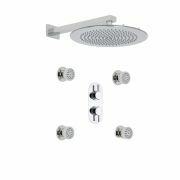 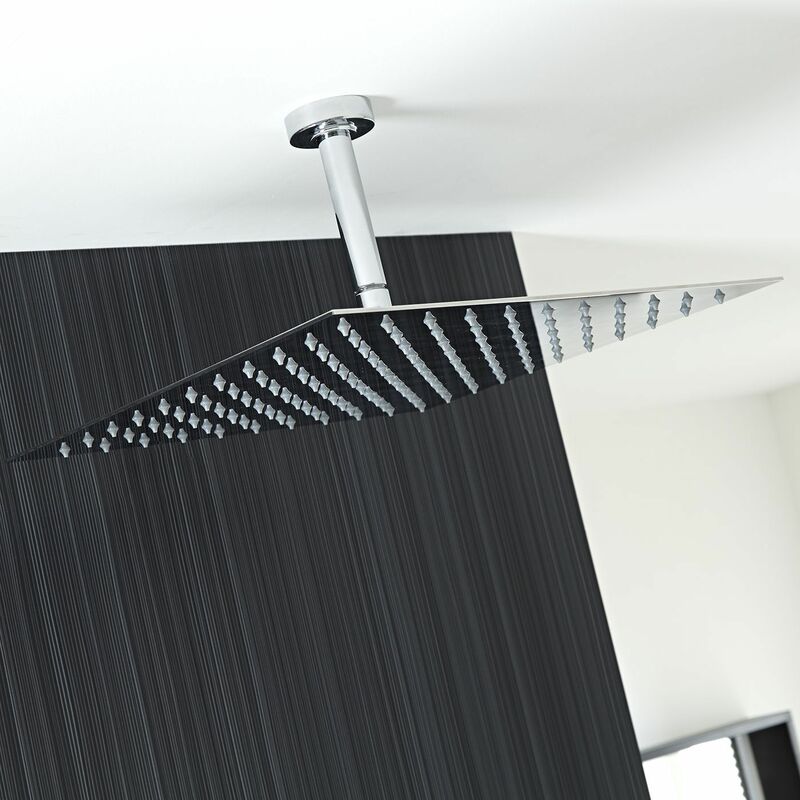 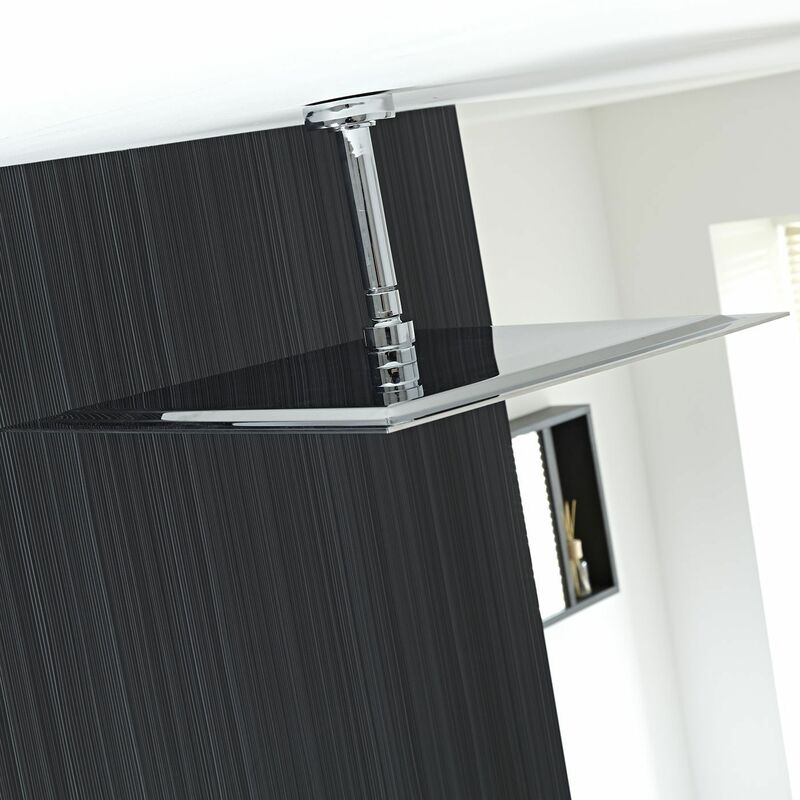 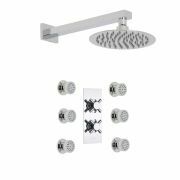 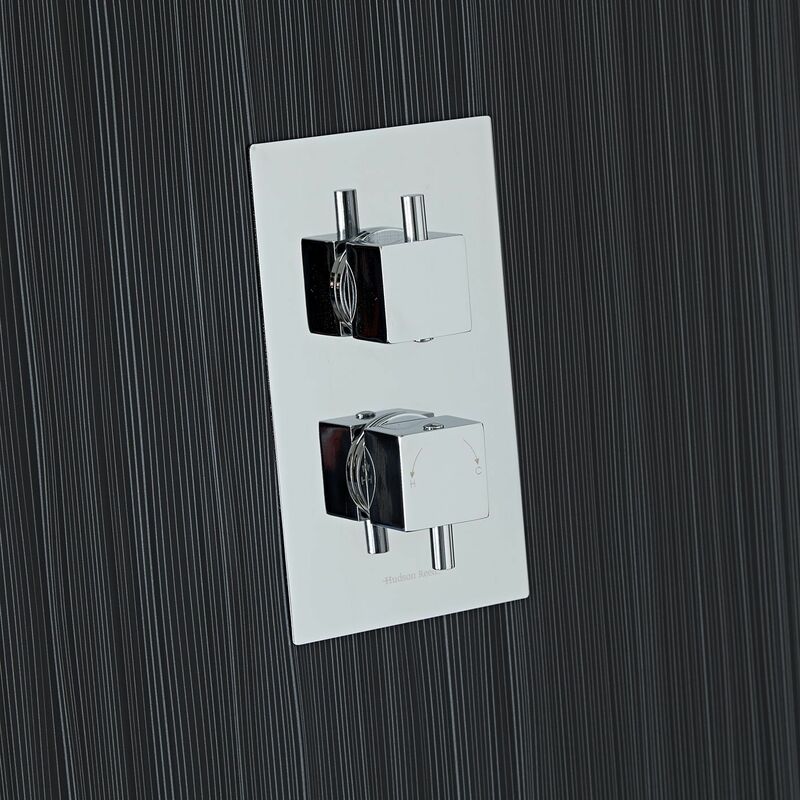 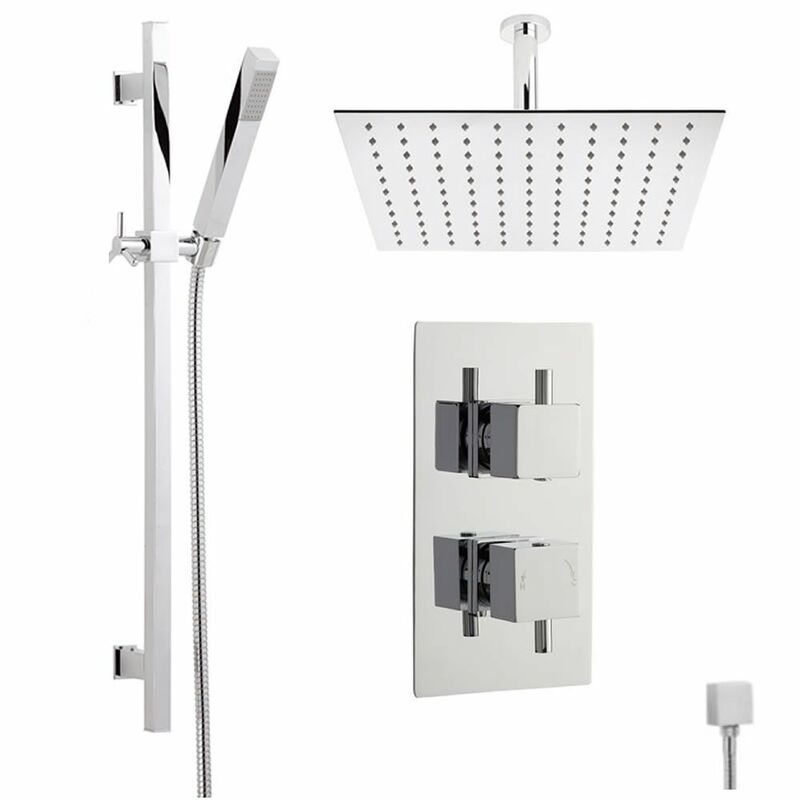 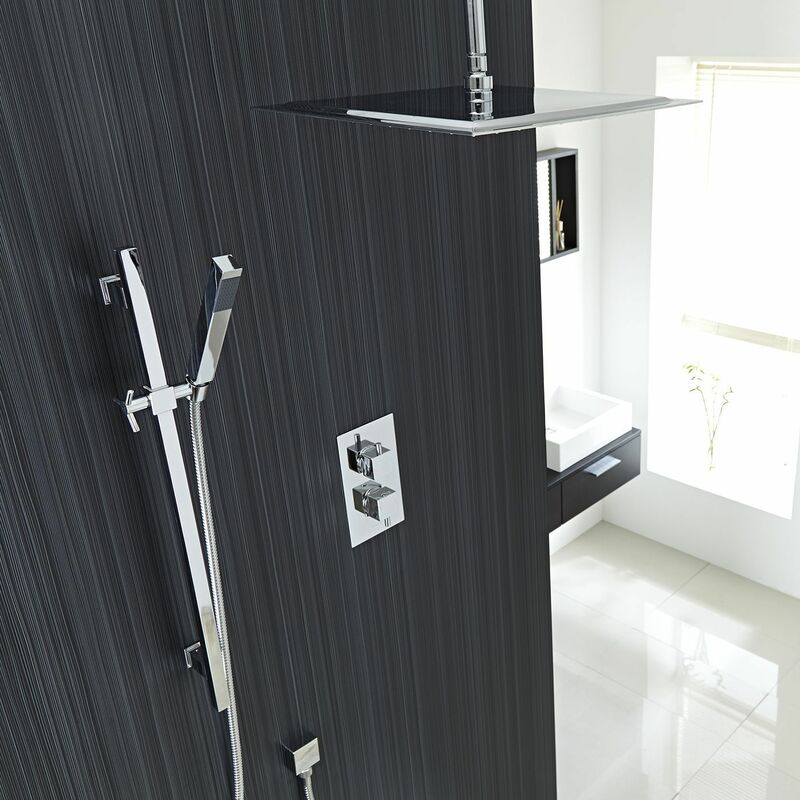 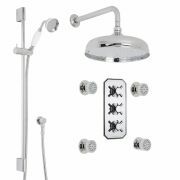 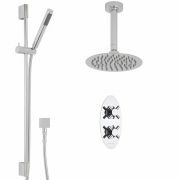 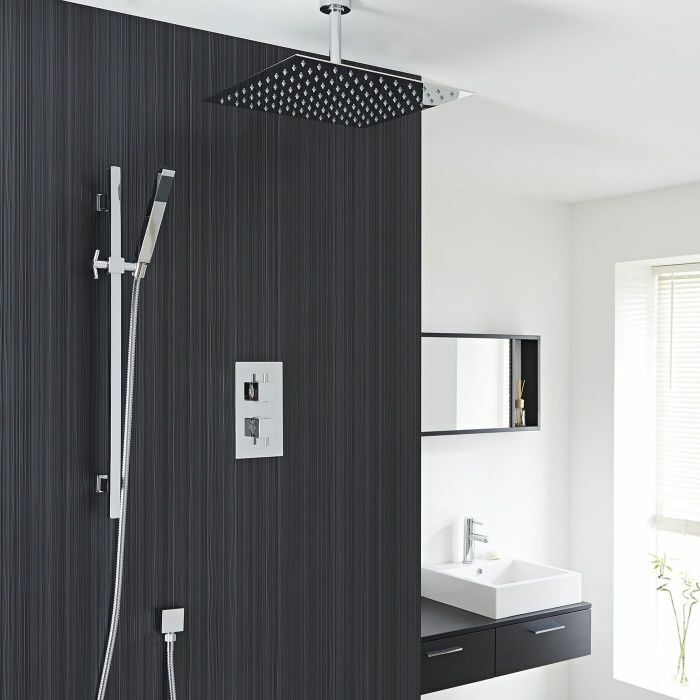 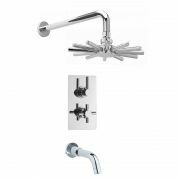 Constructed from brass, with modern ceramic disc technology, square handles give you finger tip control of the temperature and flow of water to either the large Square Ceiling Mounted Shower Head or Slide Rail Kit. 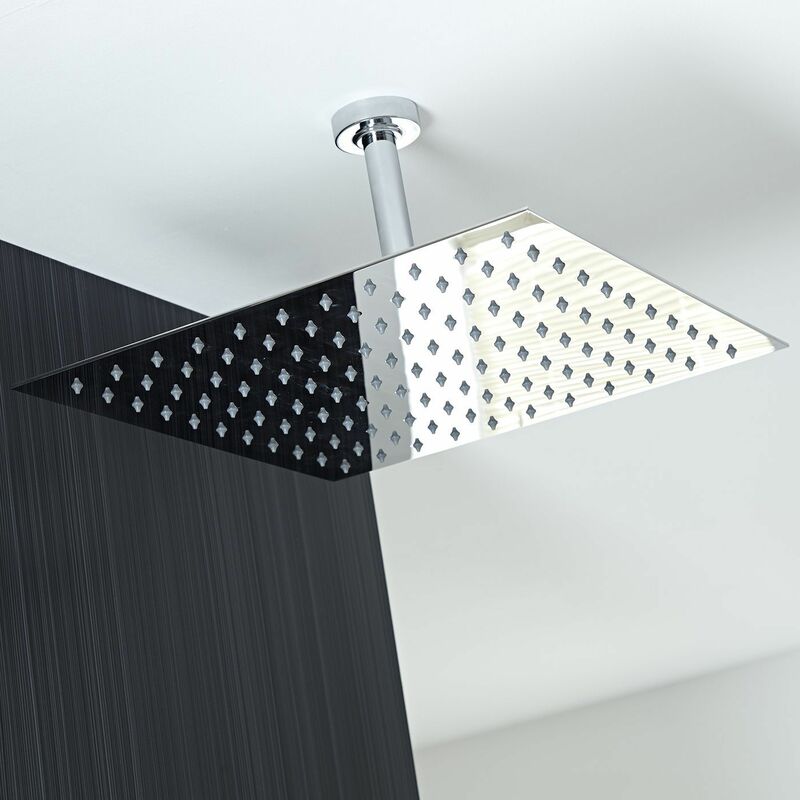 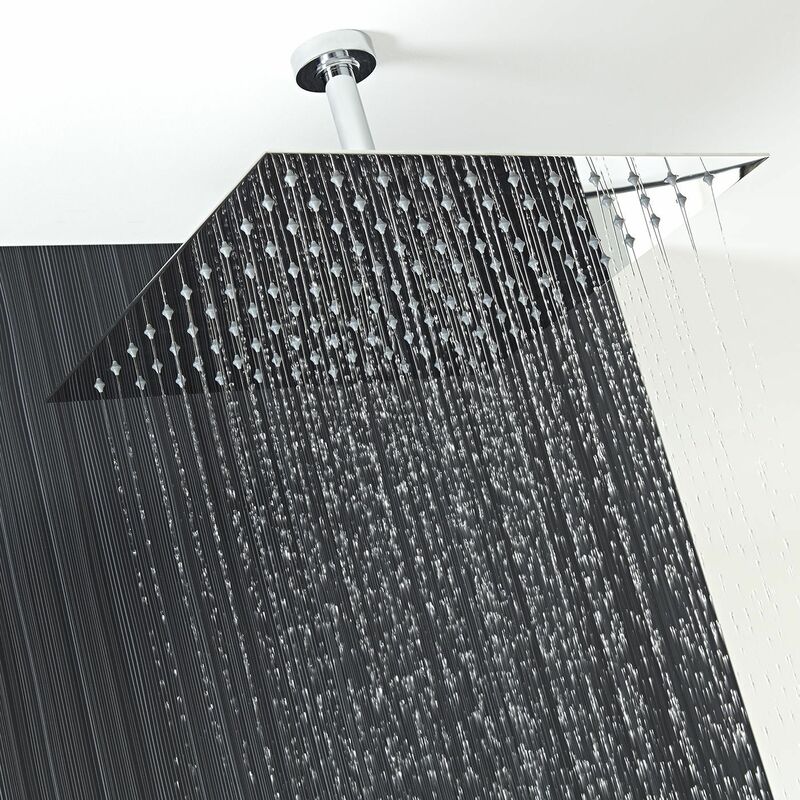 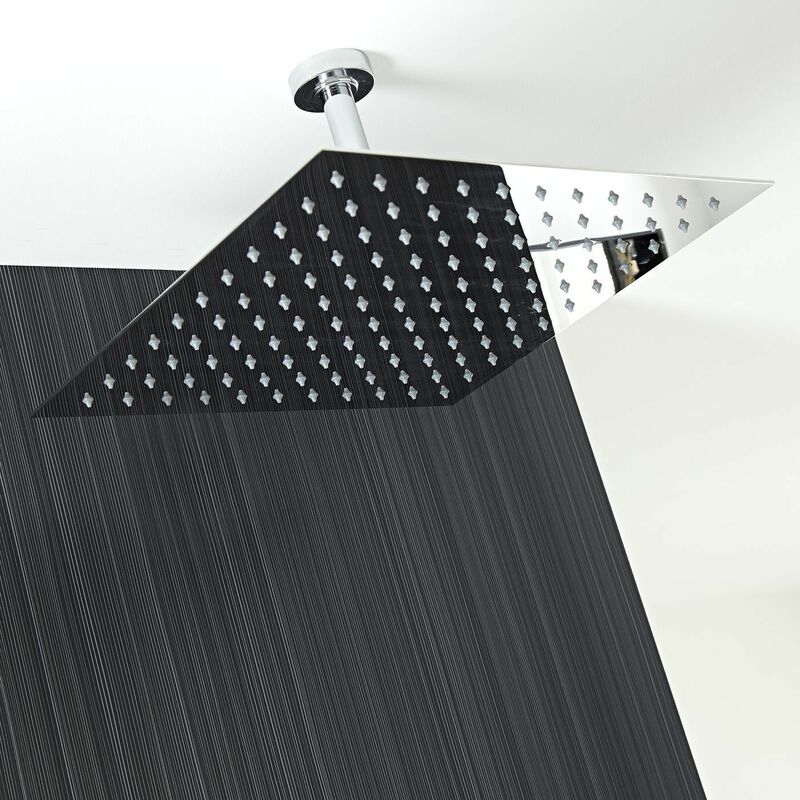 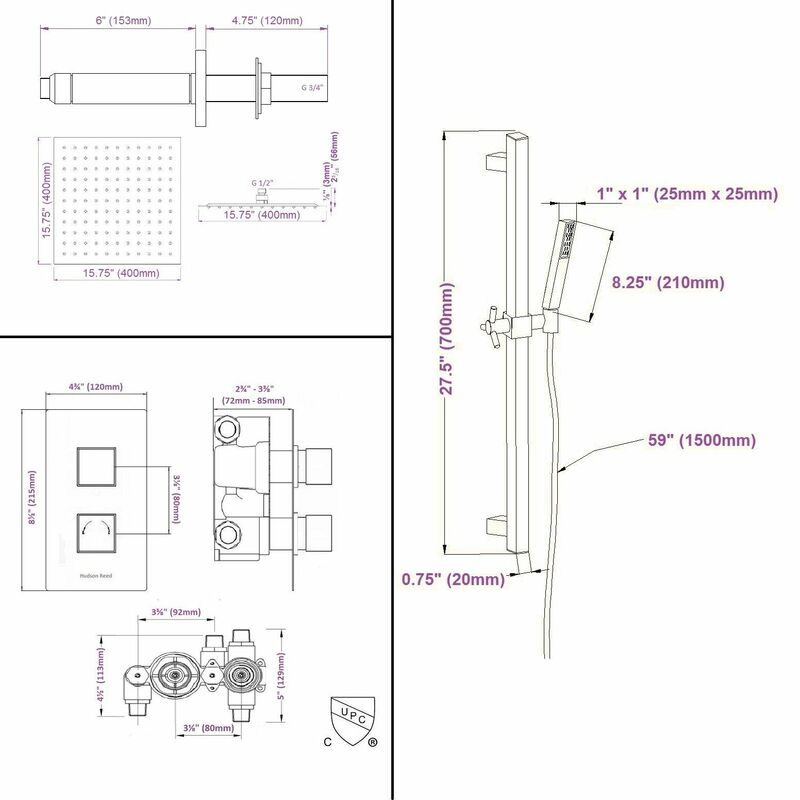 Size of the shower head: 15" square, Projection from ceiling: 6"